The Complete is our most popular monthly package. 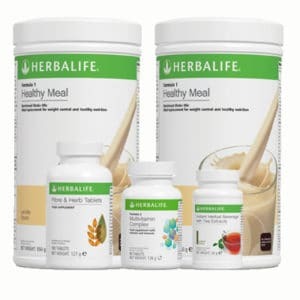 It contains everything that you need for a quick, healthy and efficient way to lose weight and get to the shape you desire. 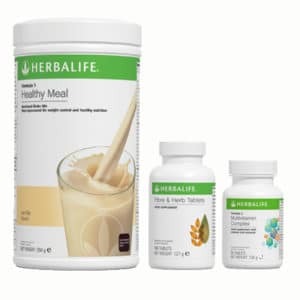 With it, you will have 2 great diet meals per day as well as additional protein supplements that will make the shake richer and more filling. 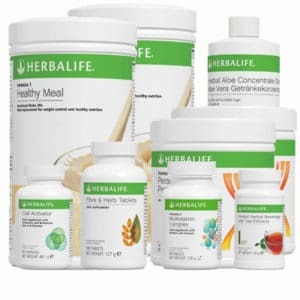 Also included are multivitamins for your immune system and to speed up weight loss, Fiber tablets for a healthy digestive system and a fat-burning tea. Click on the above product names to get more information about the individual products that are a part of this package. 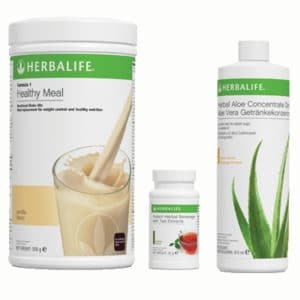 The staple Herbalife product, it is a low-calorie meal replacement that has helped millions of people around the world achieve their weight loss goals. It is enriched with lots of key Vitamins and nutrients, and will help you feel great while speeding you on your way to weight loss. 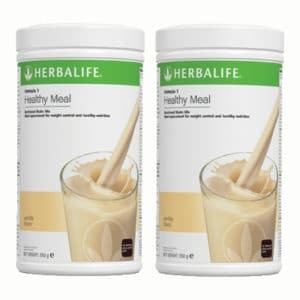 An additional protein supplement that is added to the Formula 1 shake. 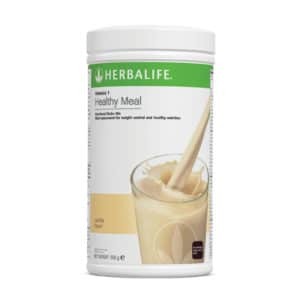 It adds to the taste and texture, making the shake richer and creamier. Further, the added proteins will help keep you full and maintain the lean muscles of your body, so that you can be sure that you are only losing fat while on your diet. A great combination of soluble and insoluble fibre, these tablets are a great and easy fix to increase the amount of fibre in your diet. They will soothe your stomach and help your body get rid of toxic materials as soon as possible. 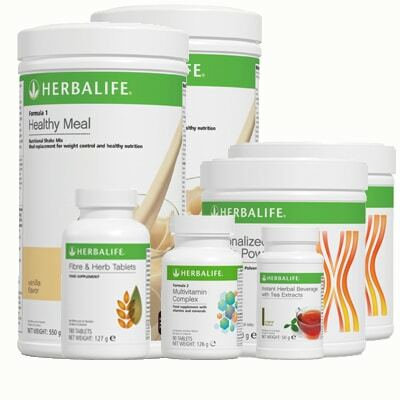 Patented blend of Vitamins and minerals to keep your body healthy and working at full speed to shed excess weight. A tea that will speed up the burning of fat stores on your body, and increase energy and alertness. Contains no sugar and almost no calories, and can be drunk throughout the day. 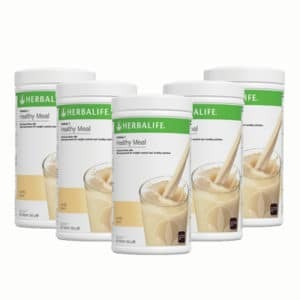 Replace 2 daily meals with the Herbalife shake. To make it, mix 2 flat tablespoons of Formula 1, 1-2 tablespoons of Formula 3 and 250ml of skim milk or water. For the best taste, prepare in a blender. Take 1 Multivitamin before each main meal (3 per day). Take 2 Fibre tablets before each main meal (6 per day). Mix 1.5 teaspoons of the tea with 1.5l of water and drink throughout the day. Can be consumed either hot or cold, according to preference.